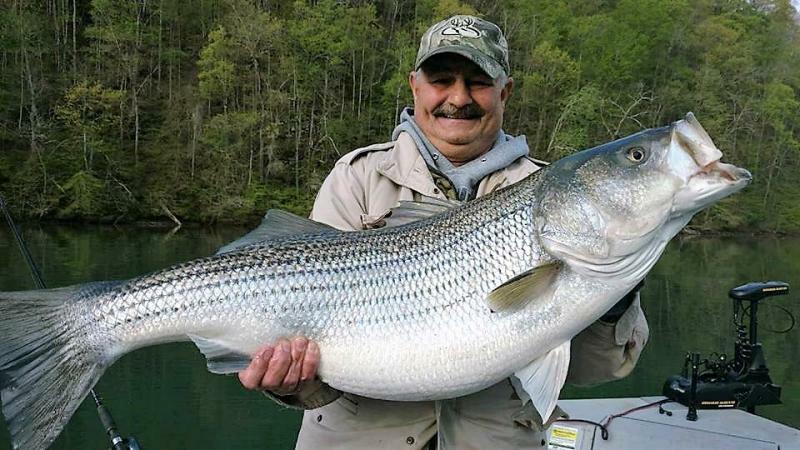 Tennessee Striper and Catfish Guide - Striper Fishing CLINCH RIVER / MELTON HILL LAKE TROPHY AREATrophy Area Fishing Trips are not covered by the "No Fish - No Pay Policy" We will start at daylight and fish 6 to 8 hours using 14" to 24" live skip jack herring, gizzard shad, trout or casting lures. Come prepared to work hard, be patient and be ready. 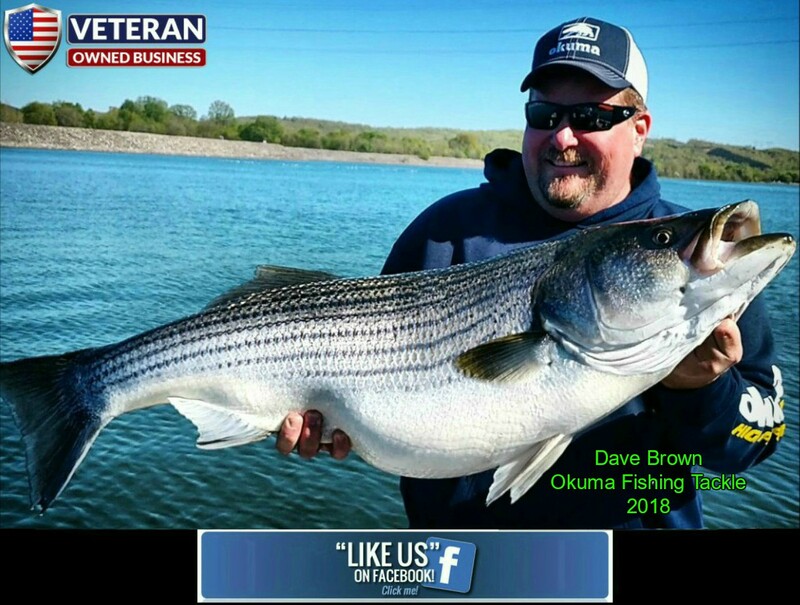 There are 50" plus Musky here as well as Giant Rainbow & Brown trout.Somedays we catch 1 or 2 trophy fish; some days we Zero ! 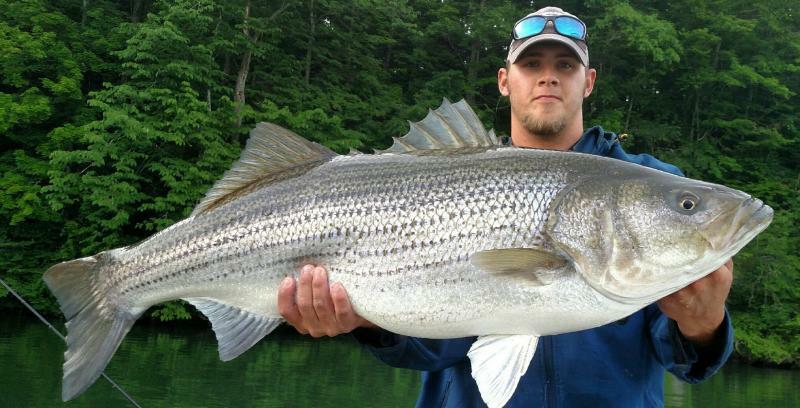 Keep in MInd - This is Trophy Fishing & They didn't get big by being Stupid. 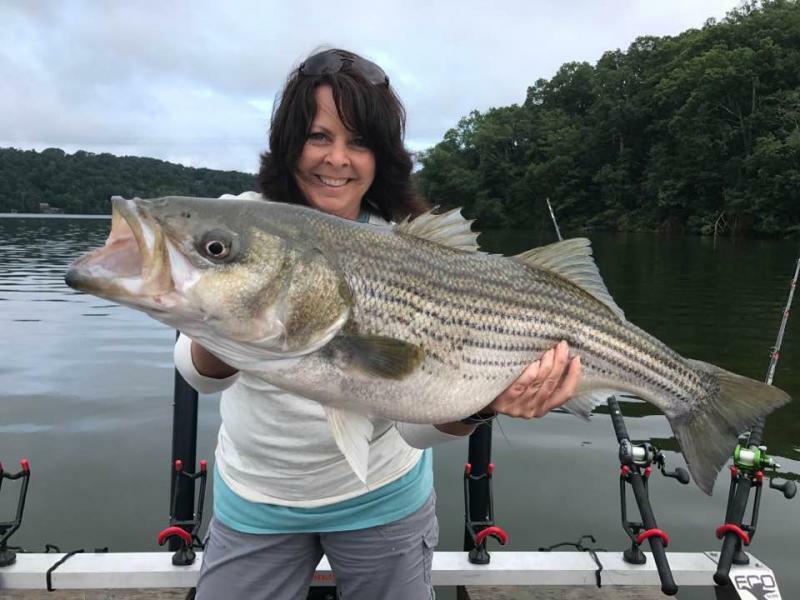 There is a (PLR) Protected Length Requirement on Trophy Fish in this AreaStripers 42" / Musky 50" / Brown & Rainbow Trout 24" Watts Bar Lake Striper FishingThese fishing trips are covered by the "No Fish - No Pay Policy" We also offer non-trophy trips from Mid-April through September on Watts Bar Lake. 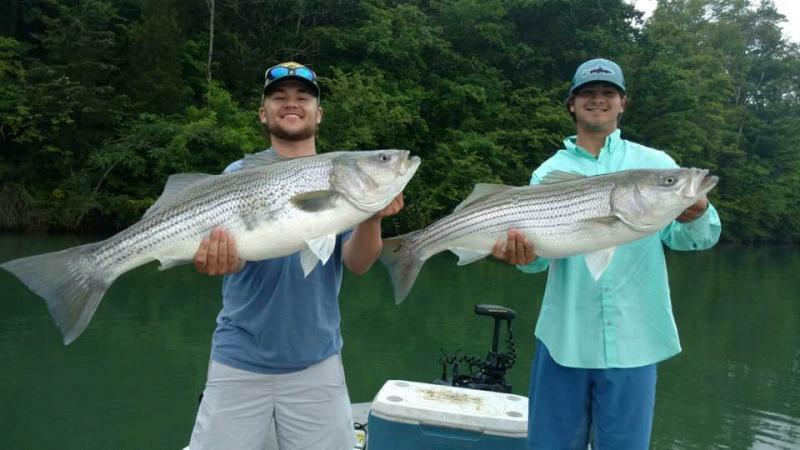 These trips always produce numbers of fish ranging from 10 to 25 pounds. 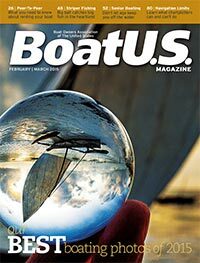 Click on Magazine covers to read about us and striper fishing in Tennessee We were featured in BoatUS Magazine in 2016 Clinch River was featured in Game & Fish for our Clinch River Trophy Sriper trips. 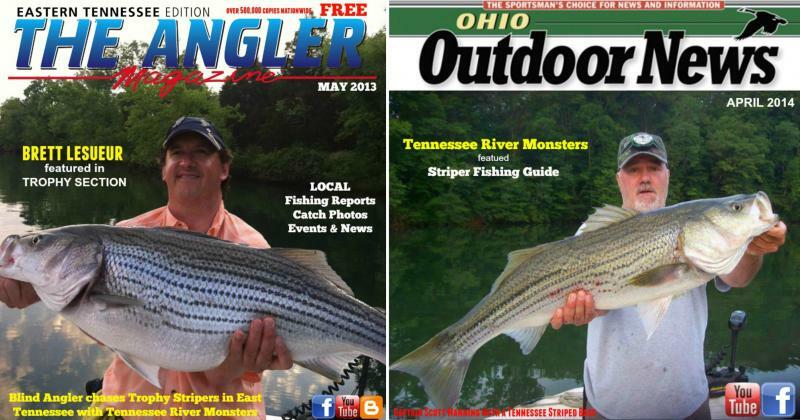 Magazine as the top striper destination The Clinch River system has perhaps the best freshwater trophy striper fishing in the world. 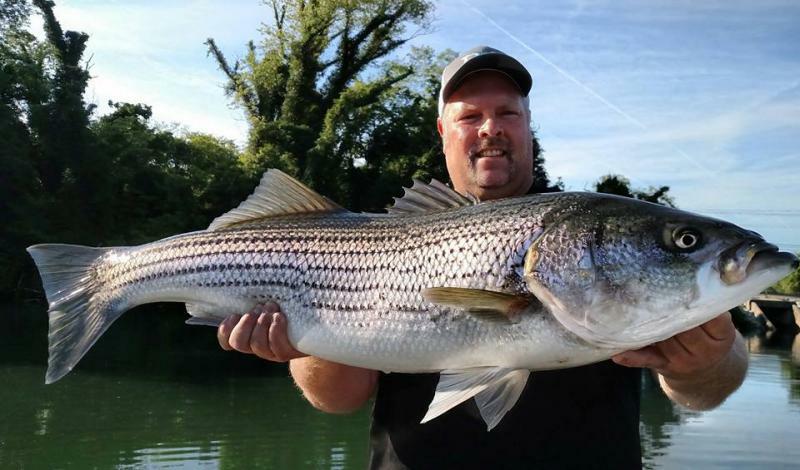 A world record could come from these waters at any time. 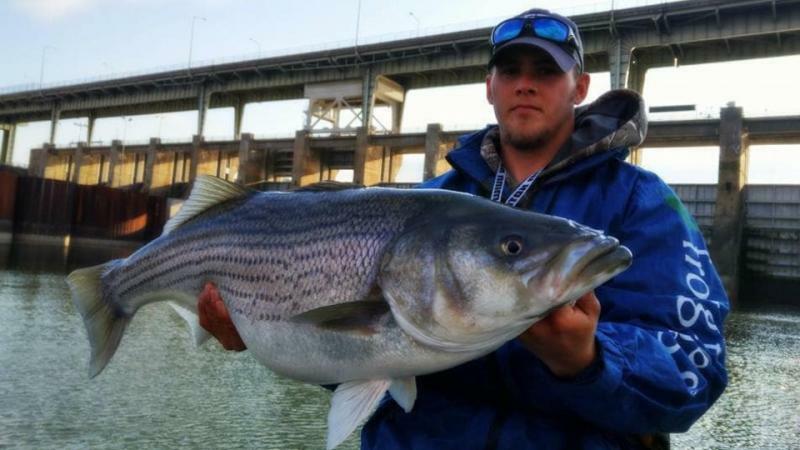 When striper angler Ralph Dallas netted a new 65-pound 6 ounce state record in April 2000, not many stripers anglers were surprised. 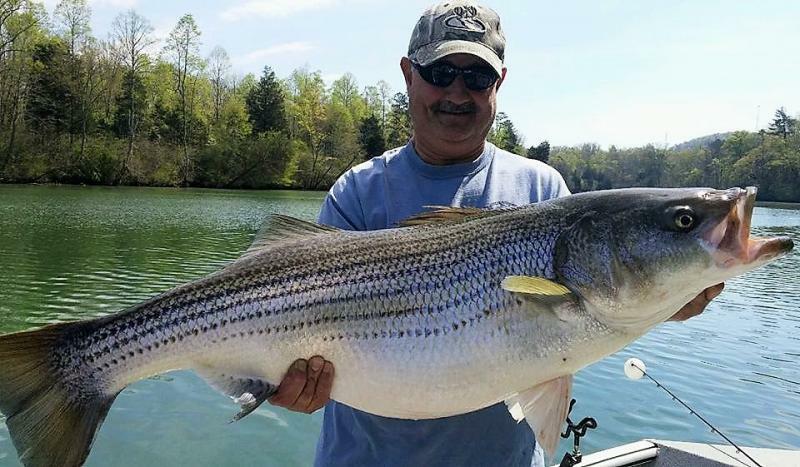 Knoxville resident Willis Marsh pulled a then state record 63 pounder from the Clinch and Gary Helms caught a 60 pounder near Bull Run Steam Plant. 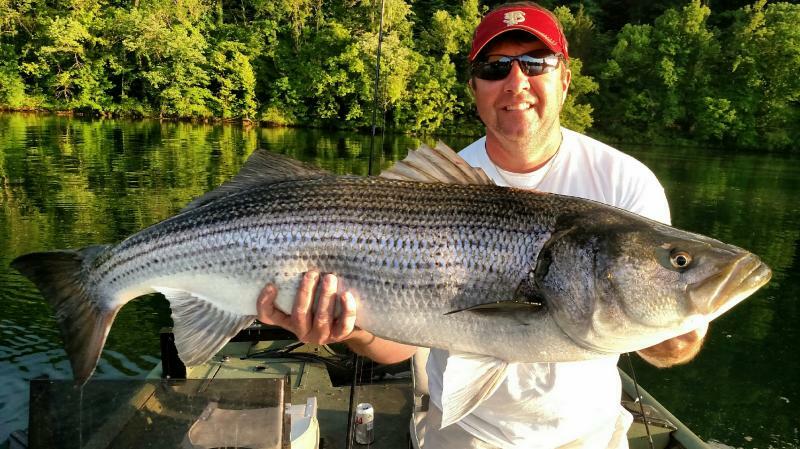 Over the past several years, the Clinch River has yeilded five (5) state records. 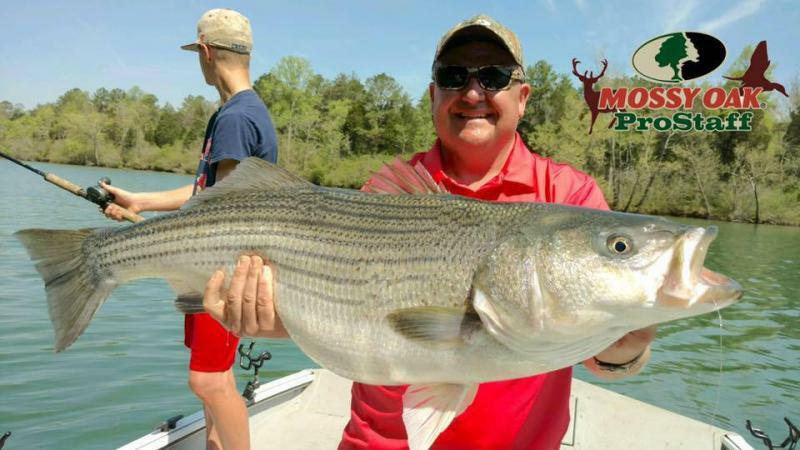 Trophy Area Fishing Trips are not covered by the "No Fish - No Pay Policy"
We will start at daylight and fish 6 to 8 hours using 14" to 24" live skip jack herring, gizzard shad, trout or casting lures. Come prepared to work hard, be patient and be ready. 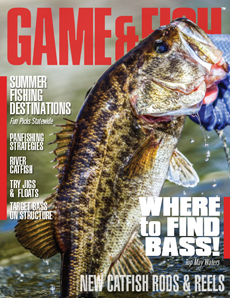 There are 50" plus Musky here as well as Giant Rainbow & Brown trout. 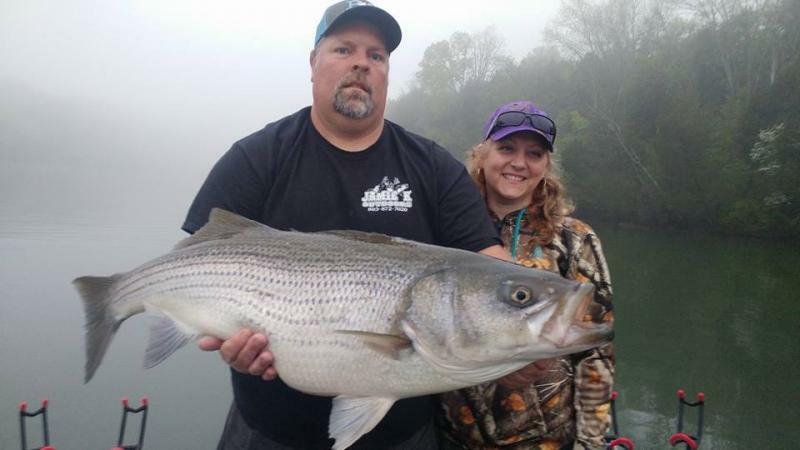 Somedays we catch 1 or 2 trophy fish; some days we Zero ! 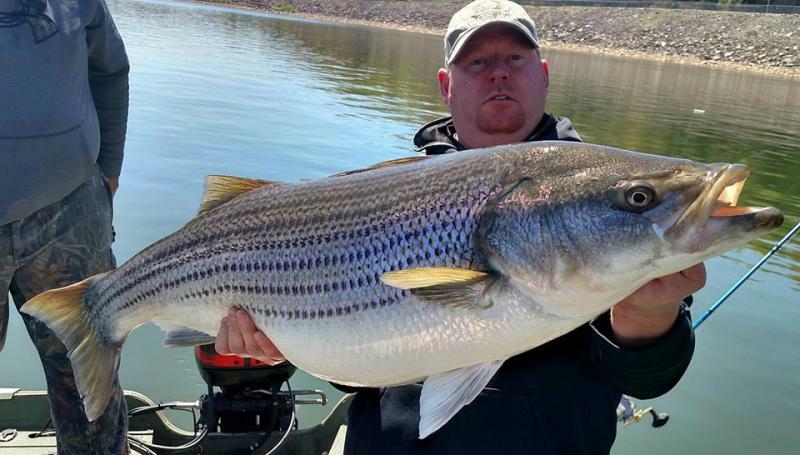 Keep in MInd - This is Trophy Fishing & They didn't get big by being Stupid. 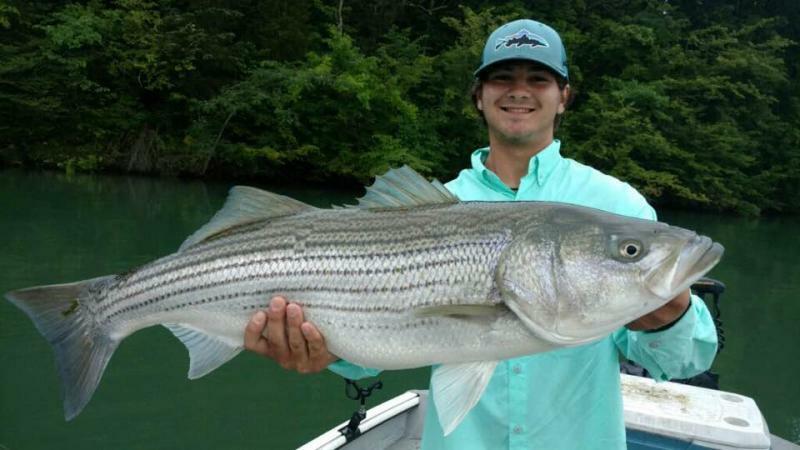 Stripers 42" / Musky 50" / Brown & Rainbow Trout 24"
These fishing trips are covered by the "No Fish - No Pay Policy"
We also offer non-trophy trips from Mid-April through September on Watts Bar Lake. 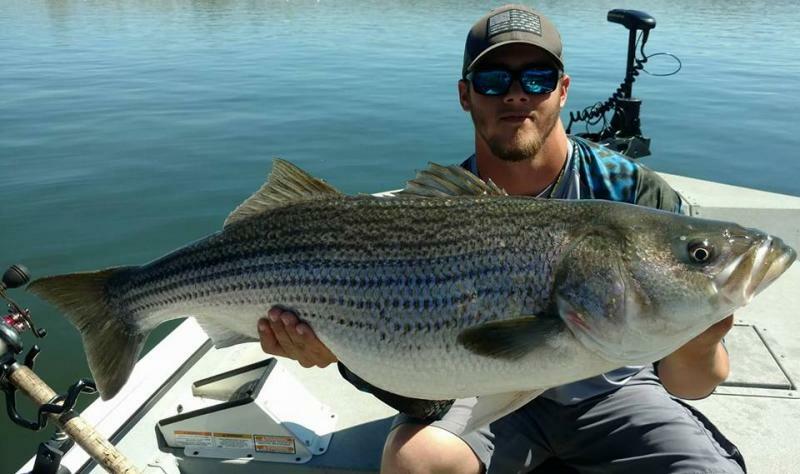 These trips always produce numbers of fish ranging from 10 to 25 pounds. 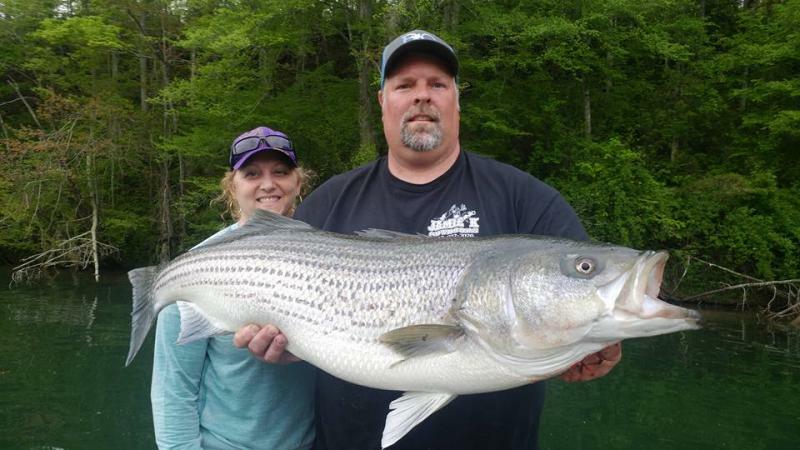 The Clinch River system has perhaps the best freshwater trophy striper fishing in the world. A world record could come from these waters at any time. 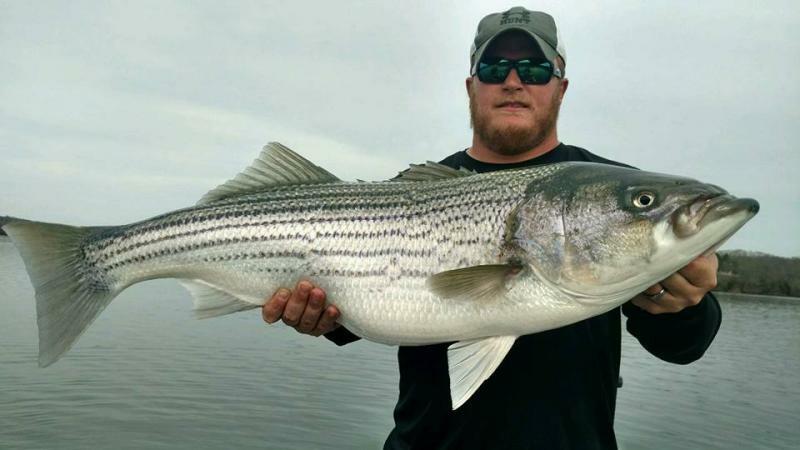 When striper angler Ralph Dallas netted a new 65-pound 6 ounce state record in April 2000, not many stripers anglers were surprised. 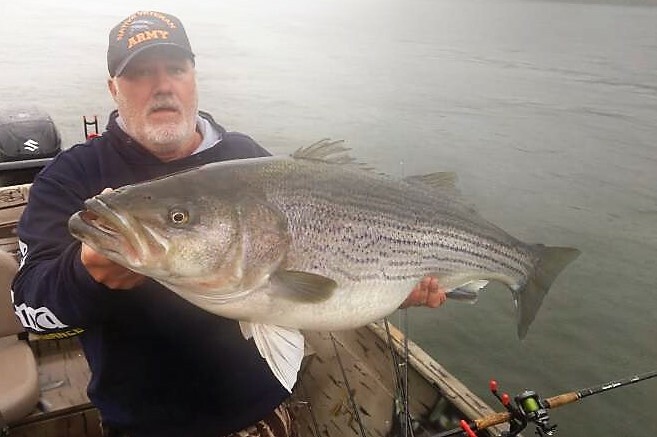 Knoxville resident Willis Marsh pulled a then state record 63 pounder from the Clinch and Gary Helms caught a 60 pounder near Bull Run Steam Plant. 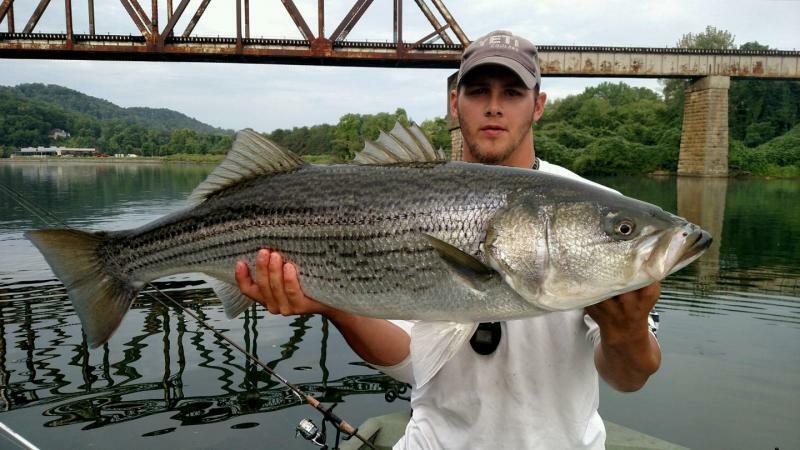 Over the past several years, the Clinch River has yeilded five (5) state records.